The sights and scenery of the fall season in Hendricks County is all around us -- from the farm fields filled with pumpkins ready to be picked to an Alpaca waiting to be petted. As always, there are lots of activities for everyone to enjoy. But, be sure to take along a jacket or sweater and a hat to enjoy the crisp air. This farm-fresh edition of the Primer features three great places to visit as part of your weekend plans. As always, you can peruse Visit Hendricks County&apos;s interactive Events Calendar anytime for up-to-the-minute things to do. Ever wondered just what an Alpaca is? For that answer and more, you&apos;ll want to head over to Brownsburg and visit the good folks at Montrose Farms Alpaca Ranch and celebrate "National Alpaca Farm Day" from 11 a.m.-4 p.m. Saturday. This celebration of the long-haired domesticated South American mammal will include tours of the ranch, great tasting snacks and shopping. Montrose Farms also offers a wide variety of items made from Alpaca wool, ranging from socks, hats, berets, gloves and mittens to scarves, blankets and even teddy bears. 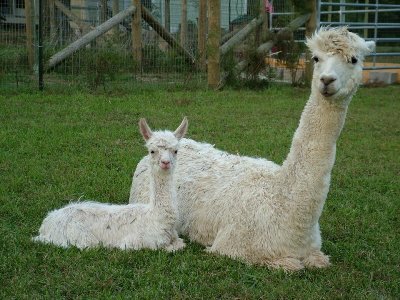 In addition to meeting the alpacas, there will be a spinning demonstration by Nomad Yarns. The cost is a bargain at just $1 a person (accompanying children under 12 are free) or you can donate a new toy to benefit the children of the Pine Ridge and Turtle Mountain Indian Reservations. A good cause and a great experience! Group tours are always welcome. 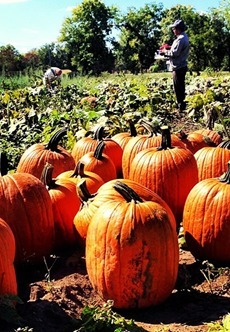 While you&apos;re in Brownsburg, you&apos;ll want to spend some time visiting the Hogan Farms Pumpkin Patch and Corn Maze. You can enjoy hayrides, visit their U-pick pumpkin patch, take a trip through their "Down on the Farm" themed corn maze and see their Sheep Dog demonstration. The hay rides are $4 a person. Corn maze is $8 a person. The farm animal experience (a must see!) is also $8 a person. The best value is a wristband for $16 that&apos;s good on Friday or Saturday and includes all of the activities including the Sheep dog demonstration. Children 32 inches and under are free. And, in keeping with the theme...another great place to visit this time of year is the Prairie Maze inside McCloud Nature Park in North Salem. Each year, the park&apos;s friendly staff comes up with what they like to call a "perplexing prairie puzzle". This year, the "theme" features an owl that appears as though it&apos;s ready to swoop in for a landing. All told, the maze covers some 50 acres and includes a trail that runs about three-quarters of a mile. It&apos;s fun for all ages and free. To read about a recent experience at the Prairie Maze by one of my fellow insiders, click here. Now that your path to a fun weekend is clear...maybe I&apos;ll see you down on the farm (or prairie) this weekend.